If you have been put in charge of looking after the music and entertainment for your next event, here is a definitive guide from entertainment industry guru, Daniel Morris of the Morris Agency. If you are feeling the pinch and the credit crunch has bitten into your Entertainment or Music budget, don’t panic! here are some cost saving options from The Morris Agency that look and sound great and doesnt take you over that budget. Many of our clients find that a combination of solo or duo musicians and a DJ and if budget will allow can go a lot further than just a main band in the evening. If you book the bands earlier in the day then you can usually get a better deal as they can go and perform at another location in the evening still and this can really help to slash the fee. We don’t always ask for money off and these things are not always set in stone, if you don’t ask, you don’t get! failing that, speak to us and we will do it for you! Are a perfect new option for anyone who is restricted on budget, space and sound volume. 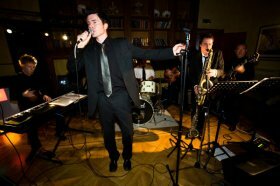 Performing large repertoires, dynamic and roaming, they are brilliant when you want an unusual band to entertain your guests. HOW LOUD IS A LIVE BAND? The band are in the middle of a song and the power cuts out, the band lights and equipment goes off and you then have to wait for it to reset and then they can restart. Pretty disruptive for you and annoying when it happens more than once. The other side effect to sound limiters on a performance is that the band might be conscious of keeping the sound down that they are not giving it their all and also have to keep an eye on the limiter. Can you get around it? As it is the local council enforcing the installation it is not even possible to bypass by going through another power source. It would be helpful to find out where the band are likely to be positioned in relation to the limiter as this can make a difference. HOW MUCH IS A WEDDING BAND? When you are looking at hiring a band for your wedding you might be thinking that maybe don’t need to stretch the budget that much really. I mean, is it that important? Well the answer to that is yes it is pretty important. If you have ever been to a wedding before then do you honestly remember the wedding cake or the favours or the flowers? I imagine, not really. The amount of times I do hear from people that they remember the music if it was good or bad! 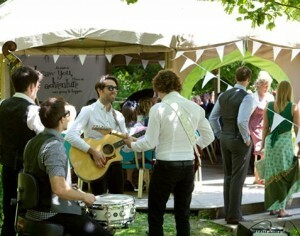 I make a lot of bookings for the same bands due to seeing them at a wedding. I would put it to you all that it is something that fills up such a large percentage of the day and evening, it is something that your evening guests experience as well as the day ones. On average this is from 3 to 4 hours and is what the day ends on. So with the average cost of a wedding cake being £500 or more maybe there should be more consideration to a lasting memory and the cost of that? Here is an introduction into how to choose your live wedding band first dance…..
Is old-fashioned best when it comes to your first dance song? Only three of the top 10 wedding songs date from the past few years: James Blunt’s ‘You’re Beautiful’, Robbie’s ‘Angels’ and Savage Garden’s ‘Truly, Madly, Deeply’. Looking for something a little less predictable? Our complete Popular Wedding Songs list contains a wide range of songs with something to suit every taste. Whitney Houston, Celine Dion, Mariah Carey and Elton John bring classic romance to the list, with tunes that were simply made to be popular wedding songs . But there are also plenty of unusual choices for your first dance song. Cool couples are choosing Snow Patrol (Chasing Cars), Jack Johnson (Better Together), or David Gray (Sail Away). And there’s the mother’s choice – Ronan Keating, Westlife or Robbie have plenty of tracks simply made to be first dance songs. Traditionally, the bride and groom will be alone on the dancefloor for the first dance song. Sometimes the bride’s father will cut in and dance with the bride halfway through, but sometimes the second dance is reserved for the bride and her father. Brides who have more than one father figure may wish to dance with both during the song. If the father of the bride wants to choose a song, you might want to direct him to this page! Shortly after the bride and her father take to the floor, they are traditionally followed by the groom and his mother. Finally, the newlyweds dance with their in-laws, and bridesmaids and ushers join the dancing. 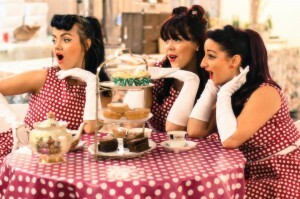 Visit UK-Jive to find your nearest modern jive / LeRoc / Ceroc class. 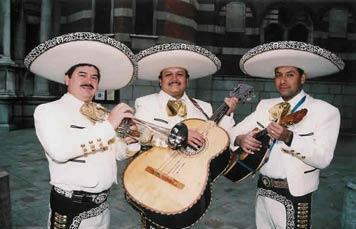 We are pleased to announce lots more walkabout bands for hire from all different genres in UK .Since the success of Mariachi Doritos and other sing o grams we will be launching a sing-o-gram section on the site dedicated to walkabout duos and walkabout bands that play acoustic music and serenades. If you are looking for a live band to hire or book alive band then we have a large network of acts for you in the Staffordshire area and all across the UK. HOW MUCH TO HIRE A BAND? There are so many factors involved in hiring a band. Most people don’t know how much musicians and other artists charge for their services. We don’t want anyone to be disappointed so we have put together a rough guide to help you out. Please note this a guide ONLY and the factors below will determine the exact price. 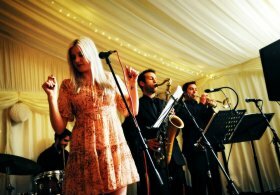 We are one of the leading UK wedding band hire music agencies with over 400 different acts available to hire for your wedding. We have many different music genres and styles for you to choose from. Requests to hire Jazz bands are among our most popular. If you are looking to hire a band for a wedding or looking to book a band for a corporate party or conference, or even hire a jazz band for an office party, visit our jazz band hire section for more information.